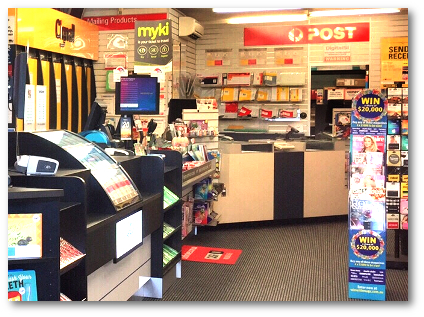 With our fully licensed Post Office you can manage all your postage requirements locally. You can also pay your bills with our Bank@Post facilities and look after your business postage needs, including Express Post, without all the queues. We also act as a Western Union Agency for international money transfers. Should you have any further queries our friendly, professional staff will be able to assist you.